The Assam Cricket Association (ACA) has announced the names of the list of its players for the next Ranji Trophy match. According to media reports, Assam Cricket Association has not changed the names of its previous squad. 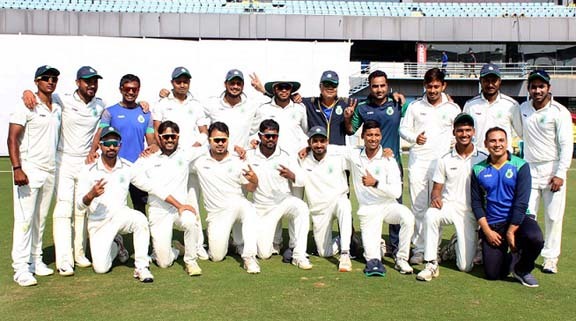 Team Assam will face the Rajasthan cricket team in their Ranji Trophy match scheduled to be held at Jaipur, the State capital city of Rajasthan. The game will start from December 6. Reportedly, the 15-member squad has already left for Jaipur, the venue of their next Ranji match. The Assam Cricket Association announced the 15-member team for the Group C Ranji Trophy match against Rajasthan, on Monday. The members of the Team Assam announced by the Assam Cricket Association are Amit Sinha, the captain of the team, Parvez Aziz, Rishav Das, Rajjakuddin Ahmed, Sib Sankar Roy, Gokul Sharma, Kunal Saikia (wk), Wasiqur Rahman (wk), Romario Sharma, Arup Das, Mrinmoy Dutta, Mukhtar Hussain, Rahul Singh, Jitumoni Kalita and Ranjit Mali. It may be mentioned that the Assam cricket team was able to emerge victorious against Haryana at the home ground in Guwahati with a good performance in the last game. Both Assam and Rajasthan cricket teams are in Elite ‘C’. However, Team Rajasthan are leading the points table with 21 points earned from four games. On the other hand, Team Assam are in 4th place in the points table with 14 points. In the last Ranji Trophy game held at the ACA Stadium in Guwahati, Assam’s Arup Das and Gakul Sharma were the heroes. While Gakul Sharma had scored 96 runs Arup Das took 9 wickets in the match. Assam defeated Haryana by an innings and 35 runs.